The ex-centre back and striker also played for Dumbarton and Motherwell. Former Rangers footballer Colin McAdam has died aged 61. The ex-centre back and striker, who also played for Dumbarton, Partick Thistle and Motherwell, had a career spanning from 1969 to 1990. On Friday Rangers confirmed that Mr McAdam had died. Current manager Ally McCoist paid tribute to him. He said: "We were all shocked and saddened to hear of Colin’s sudden passing. "On behalf of everyone at Rangers Football Club, I would like to send my sincere condolences to Colin’s family at this difficult time. "It is genuine tragedy that Colin has passed away so suddenly at just 61 and the thoughts of everyone at Rangers are with Colin’s family and friends." Former player Derek Johnstone, who played with Mr McAdam during his time at Ibrox, added: "Colin was a great lad and a good friend and I am shocked at this tragic news.“He always gave 100% on the pitch and was fearless. I am absolutely devastated by this news and my thoughts are with Colin’s family." Another of his old clubs, Partick Thistle, stated on its official Twitter feed: "All at Firhill are deeply saddened to learn of the passing of Colin McAdam. Our thoughts are with his family and friends at this sad time." He started his professional career at Dumbarton after making the move from Clydebank Juniors and went on to play for Motherwell and Partick Thistle, but is best remembered for his tenure at the Ibrox side. Signed in 1980 by manager John Greig for £165,000, he was initially fielded as a striker but gradually found himself deployed at centre back. 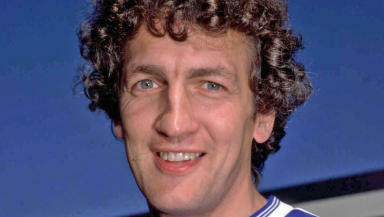 During his time at Ibrox, which ended in 1984, he made 99 appearances and scored 32 goals. After a brief stint with Australian side Adelaide City, he returned to Scotland where he undertook a one-year sojourn with Edinburgh’s Heart of Midlothian, appearing only six times as a substitute for the Tynecastle side between 1985 and 1986, followed by a return to Firhill, where he played for another two seasons. He retired from competitive football in 1990 after turning out for Irvine Meadow and Maryhill.